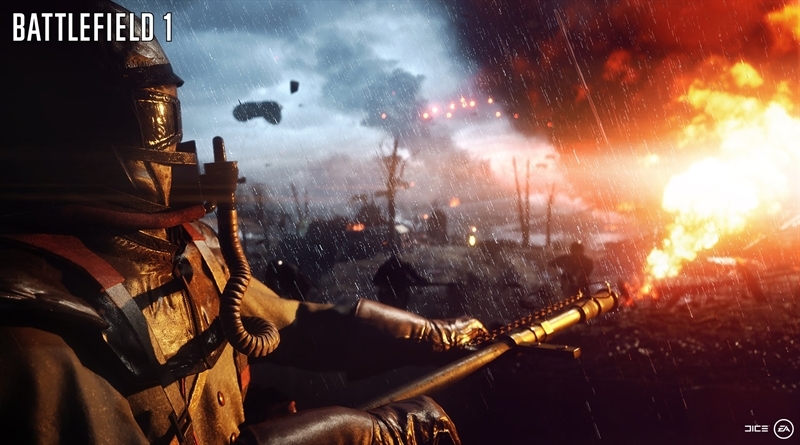 The latest Battlefield 1 game from Battlefield Franchise has been announced officially. Battlefield 1 World Premier Trailer looks pretty awesome, it has everything a current Battlefield fan wants and lure new comers to like this game and franchise. The trailer shows footage of game where war is more physical and personal. the game features close quarter combat, biplane battles, horseback units coming at you from all directions and how this historical war was the origin of modern warfare. In Battlefield 1, players will be roaming around the world in different and unique places such as deserts of Arabia, Western Front. You will be taken to the Italian Apls, France and will visit many cities and villages. All these areas and places are playable through main Story Campaign and Multiplayer. Vehicles in Battlefield 1 are some of the largest that ever built in-game and according to DICE it will be interesting to play in 64-players matches. Immersive gamplay has been taking into consideration, DICE said that not only players will love to play as ‘Lone Wolf’ in single player but also love to play and be part of the multiplayer squad. Players have access to large variety of weapons such as machine guns, flamethrowers, rifles, a mace, and other unique melee weapons such as shovels with different weight classifications such as light or heavy. Players can also use Gas Masks to run through deadly gas or to find a way around the deadly gas. If you want to get your hands on this Battlefield 1 shooter, don’t miss a chance to attend EA Play event in E3 2016 in June. If you want more info regarding the game’s beta, you can Sign up as a Battlefield Insider. If you pre-order Early Enlister Deluxe Edition worth $79.99, you can play Battlefield 1 on October 18 otherwise the game will be released on 21st October worldwide on PlayStation 4, Xbox One and PC. Whoever pre order the game will also receive Hellfighter Pack which include items inspired by 369th Harlem Hellfighter Infantry Regiment.